Blogs (or Web Logs) are increasingly being used in education by teachers and students. Blogs provide a communication tool that teachers can use to develop writing, share ideas and reflect on work being undertaken in the classroom. Free online tools such as ‘edublogs’ and ‘weebly’ allow teachers to create secure student blogs, or classroom websites, with little or no prior technical knowledge! Challenge 13: Comment on an edu blog. ​Challenge 14: Write an edu blog. 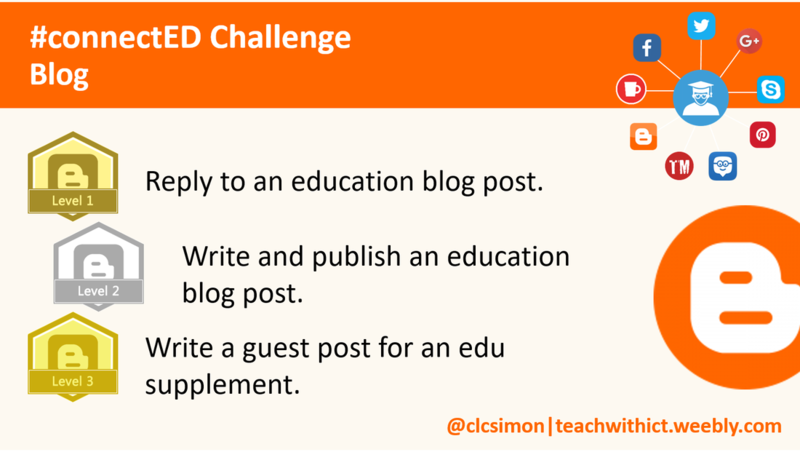 Challenge 15: Write a guest post for an education supplement.